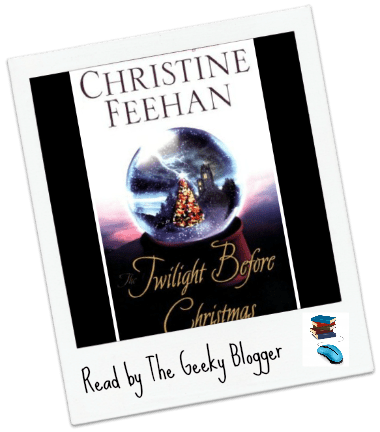 Review: The Twilight Before Christmas by Christine Feehan: Loved Loved Loved Loved (ok you get the picture) this book! I think Christine did a wonderful job of mixing Christmas/Romance/Paranormal/Caring/Family into a book that you did not want to put down until you were done. This was about the 2nd sister Kate who has the ability to calm people by talking to them and also the ability to travel to the shadow world. Her romance is one that has been in the making since she was 15 and though they have known each other forever this is no easy ride. You get caught up on all her sisters and you finally get to glimpse a little of each of their personalities. It was a great book!